The pulp and paper industry comprises companies that use wood as raw material and produce pulp, paper, board and other cellulose-based products. The leading countries in pulp and pulp industry are North American (United States and Canada), northern European (Finland, Sweden, and North-West Russia) and East Asian countries (such as East Siberian Russia, China, Japan, and South Korea). Australasia and Brazil also have significant pulp and paper enterprises. The United States had been the world's leading producer of paper until it was overtaken by China in 2009. Worldwide, the pulp and paper industry is the fifth largest consumer of energy, accounting for four percent of the entire world's energy use. There is a strong business need for investing in energy efficiency projects in the pulp and paper sector. Energy constitutes as much as 15% of total operating costs, so energy efficiency reductions can make a significant difference to the bottom line. Investing in energy efficiency can also yield benefits from reduced water and associated chemical use, improving energy and water security for the plant and building goodwill in the regional communities in which companies operate. Recently, there was a case study conducted by the University of Illinois at Chicago’s Energy Resources Center and Industrial Assessment Center, under contract with the Illinois Department of Commerce and Economic Opportunity and the U.S. Department of Energy (USDOE), conducted energy assessments of ten paper and paperboard manufacturers in the Chicago metropolitan area, to find out ways to conserve energy. This study concluded that recent assessments of pulp and paper plants indicate that even greater energy savings are possible. Combining a strategic energy management approach with the Department of Energy’s Industries of the Future program, savings of up to 15% of a plant’s total energy budget are feasible. If realized, these reductions will result in an average savings of 1,175,000 kWh and 9,500 MMBtu per plant. This case study presented an effective approach using tools provided by the Department of Energy’s Best Practices Program, specifically the Compressed Air Challenge, Motor Decisions Matter and Steam System Opportunity Assessment for the pulp and paper industry. Using this approach on a national scale, a significant reduction in energy usage and corresponding cost savings shall be achieved, significantly and positively impacting the national energy grid. The case study aimed at energy assessments of ten paper and paperboard manufacturers in the Chicago metropolitan area. These assessments were conducted during the course of 12 months, from November 2001 to December 2002, and concentrated on the prime energy users in each plant. Significant ways for energy conservation, and therefore cost reduction, were determined in each of these plants. Major energy using systems were identified, such as compressed air, process steam, process motors, lighting, and heating. These measures not only have the potential to conserve energy, but also to reduce carbon dioxide emissions. The Energy conservation opportunities identified during the assessment of the ten facilities can be applied to pulp and paper manufacturing facilities throughout the United States. The US DOE (Department of Energy) Office of Industrial Technologies provides tools and tips to assist industrial facilities in conserving energy usage, which can be applied to a facility energy management program to reduce energy consumption, while improving productivity. In the study each of the ten plants consumed both electricity and natural gas for powering primary manufacturing equipment, secondary support systems, and supplemental equipment. Energy usage among the then plants varied greatly, and was highly dependent on the product produced, age and condition of equipment, operating procedures and production orders. 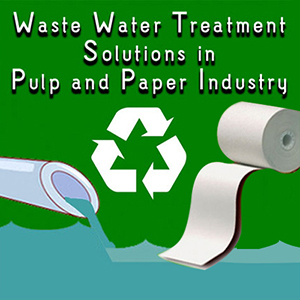 Various ways to conserve energy in the pulp and paper industry. Compressed air is considered by many plant personnel to be a resource that costs little to operate and maintain. In addition, personnel believed maintaining compressed air systems to be difficult and fiscally inefficient. A number of compressed air opportunities were found at nearly all of the plants surveyed. Nine of the ten plants had compressed air systems that offered significant opportunities for energy conservation and cost savings in leak reduction, outside air usage, reduction of compressor air pressure, energy-efficient nozzles, or a combination of any of the above measures. By improving the operation of compressed air systems, facilities can provide energy efficiency improvements of 20-50 percent. In the United States, compressed air systems account for 0.5 percent of emissions (OIT, 2002). Installed motor capacities varied at the plants surveyed. It was observed with most industrial facilities, motors of varying load factors and efficiencies were found throughout the plants. Although premium-efficiency motors are available, however in the event of a motor failure, many facilities use “stock motors”, regardless of motor size and efficiency when replacing faulty motors. Opportunities in the area of improving motor efficiency were present at all ten plants. It was also discovered that replacing a standard efficiency motor with premium efficiency motor can result in energy savings over the life of the motor. Process heating for industrial facilities accounts for 17 percent of all industrial energy use (OIT, 2002). Several ways were discovered during these assessments to reduce energy consumption. These included improving boiler combustion efficiency, using blow down steam energy rather than live steam to preheat makeup feed water, and installation of a stack economizer. For example, tuning the boiler at Plant would raise the combustion efficiency at the plant from 78.4 percent to 80.9 percent, and result in natural gas consumption and cost savings. By using blow down steam rather than live steam to preheat makeup water, Plant could recover energy currently available, but discarded. 85 percent of the boiler blow down energy could be recovered by piping the boiler blow down to the existing flash tank/feed water heater tank auxiliary system already in place (Dyer & Maples 1991, 9-14). 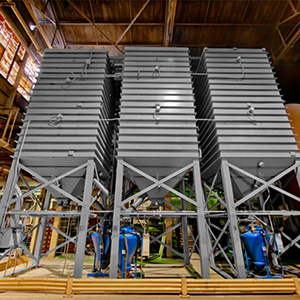 By installing a stack economizer at Plant, waste heat from the boiler exhaust flue could be used to preheat combustion air and increase the efficiency of the boiler. For these recommendations, the implementation cost is higher than for other energy-using systems, but the resulting paybacks are still viable. Steam leaks resulting from piping or steam trap failures are a significant area of potential savings for an industrial facility. During the research the leaks found at the facilities were small but they represented a significant, consistent loss of energy. No matter the size of the leak, line pressure of the system at the point of exit, utility cost or maintenance rate, repairing a steam leak offered the best combination of high energy and cost savings at low cost at a specific location. The resulting simple paybacks are extremely attractive, with investment dollars being returned almost immediately. Industrial processes generate large amounts of waste heat energy that is then released into the atmosphere. Some of the Plants under observation for the study had scrap collection systems powered by fans that moved corrugated scrap through the plant. These systems used plant air, which is exhausted outside of the facility. To offset this air loss, makeup was air drawn into the plant and heated to the ambient temperature. By ducting outside air directly to the scrap collection positions, outside air would comprise the majority of the exhaust air. Consultation with a major manufacturer of air conveyance systems indicated that a 70 percent savings of heated air could be expected if this system were implemented. Lighting is often overlooked at industrial facilities, though it often uses 15-25 percent of the overall energy budget. All of the plants surveyed had inefficient lighting systems installed in the production, warehouse, and office areas. Significant savings opportunities were found in replacing existing lamps and ballasts with more efficient ones, for all lamp types. Insulting exposed steam pipes, valves, and/or tanks can result in natural gas and cost savings. It is important not only that surfaces be covered, but that the insulation is installed properly, and that insulation that has degraded over time be replaced. The seven energy-using systems examined offer significant natural gas and electricity energy conservation and cost savings opportunities for all ten plants surveyed. In this case study this was observed in only ten plants however, the energy conserving opportunities discovered can be implemented in the plants all over the world.